Eviternity is a 32-map Doom megawad that is currently in development. Check out the first eleven maps that have been created for this up-and-coming project! Continuing where the first dev diary left off, I feel it’s time to log the progress of the project with details on each map that exists so far! At the current point in time, no guest maps are complete, however I am aware that Ukiro, Mechadon, Jimmy, Eris Falling and an_mutt, have definitely started mapping, and AD_79 has at least planned what they intend for their map to be. All eleven maps that are listed are completed, though that doesn’t mean I won’t make changes in the future. The first map of them all, both in terms of creation date and in terms of what the player is exposed to. 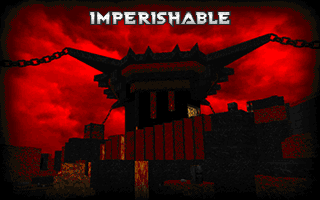 This map is designed to serve as a friendly welcome to the megawad, with gameplay more challenging than a typical IWAD, but still easy by the average player’s skills. 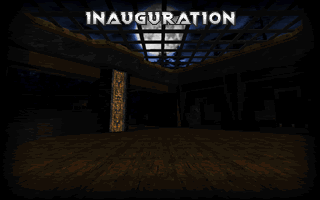 The name, Inauguration, defines as “a ceremony to mark the beginning or introduction of something”, which seems incredibly fitting for the first map of the set. 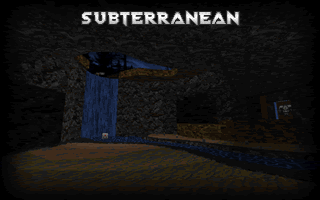 Having traversed the first map, the player is ushered into a system of caves. The opposition here is a lot more potent, with the likes of hell knights and spectres making an appearance! Keep your eyes peeled, you never know what lurks in the shadows of these sandy caverns. This map was the 2nd to be created, made immediately after the 1st. Now to move from the cavernous Medieval theme, and step into a more futuristic ‘base’ theme! Facilitate takes you through a water processing facility, trudging through dark reservoirs and battling through smaller hordes of enemies in search of keys which will grant you access to the waste processing facility of this episode. Eugh, what’s that smell?! Welcome to the putrid waste processing facilities, the fourth map crafted for Eviternity. You’ll need to clear out the demon infestation to proceed to the next level. 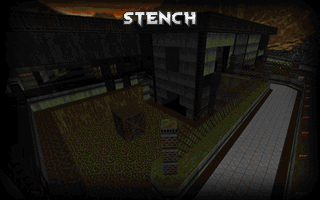 Being the fourth level to be created, the eighth in the megawad overall, Stench will start to test the player’s skills and see what they’re made of! Yeah, there’s no Episode 3 yet. Still waiting on a few textures to be crafted so that we can get to work on icy castles, chilly caves and more! 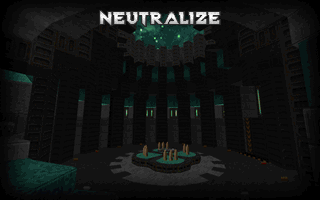 The 5th map to be made for Eviternity, Neutralize puts the new teal range in the palette to good use; combining an industrial / brutalism inspired look with the occasional splash of colour to create a powerful, imposing location. Wade your way through the central reservoir as you fight for the three keys while dealing with a few tricky encounters! 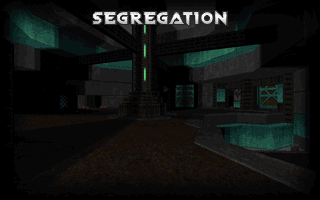 Following on from Neutralize, Segregation is set in a much darker and violent environment – The first room drops the player against a cyberdemon in a room which is almost pitch-black with nothing more than a super shotgun. Surviving this duel grants the player two possible paths, the left door or the right door. This separation is where the map gets its name. This map predates Eviternity, as it was originally made for the Doomworld Mega Project 2018 community project. I hadn’t submitted it to the project, though, and decided to see how it would look if “rebranded” for Eviternity, and I have to say that I feel it’s right at home here! 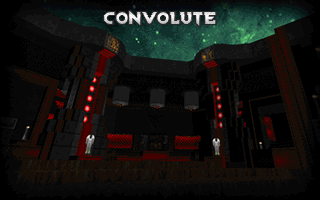 Convolute is a large map which has the player trudging through nuclear waste in the hunt for keys with a few interesting encounters along the way! Welcome to Hell! Ukiro’s OTEX texture pack has some absolutely astonishing resources available which lend themselves to a strong hell episode. Imperishable features a giant, imposing tower which you must traverse around and visit the surrounding locations before finally gaining access to the stairs around the tower. Once at the top try not to be blasted off by the cyberdemon! After dropping in from the tower’s entrance you fall into an incredibly deep pool of blood! 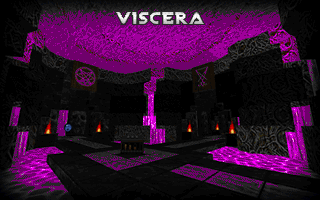 Viscera is a map which serves as a dark, twisted take on hell, with black and magenta alien-like textures, black and red marbles, and plenty of blood and flesh to compose a strangely organic world. With three major encounters, this map will be a real test on your skill and patience. At the time of writing, this is the newest map to have been crafted. 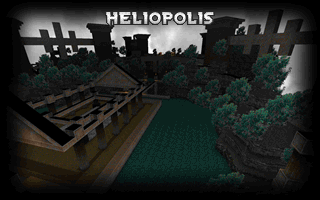 Making extensive use of psuedo-3D architecture and self referencing sectors, Heliopolis gives off a strong angelic Ancient Roman appearance, like an island in the sky! The central teleporter to the heavens above is the goal, but to get there you’ve got to find the twelve switches scattered throughout the map. Are you worthy to ascend into the afterlife? This arena and it’s trials will be sure to test that! 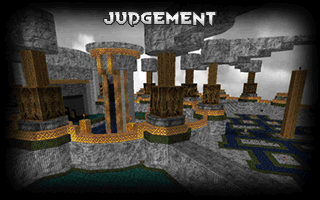 With a focus on arena-based combat, Judgement was built in a circular fashion, with many moving parts to keep the map from feeling ‘samey’ as you progress and allow for an element of surprise. Watch out for the final fight, things can get really tricky! So, now that the currently existing maps have been covered, I’ll be free to focus on more intricate information in the future dev diaries, and keep a more regular wave of content coming. I’ll be posting new posts when there’s new maps; and I’ll be sure to go into detail about some of the struggles I’ve overcome during the development of Eviternity! If you want to see Eviternity being actively developed, be sure to tune into my Twitch livestreams, every Monday.